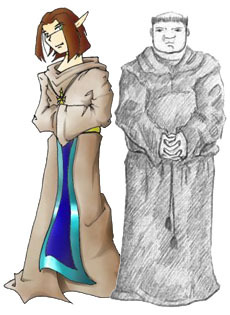 Scholar - The Scholar is similar to the Mage in that they seek knowledge of all the Paths of Magic. However, monks draw on the powers of Gods and thus have a different (often more difficult) learning process. The reason for all this research is unknown. You may become this class in the Monk Hall. It is located just east of the town square in Cabeiri.